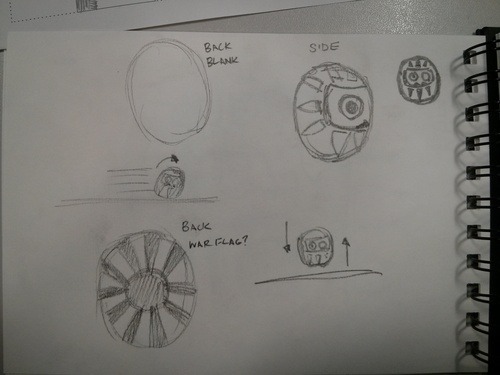 For my logo I have decided to create a video game studio from the mid-nineties, or if that isn’t allowed, it would be a company that designs retro games nowadays in the style of video games from the nineties. 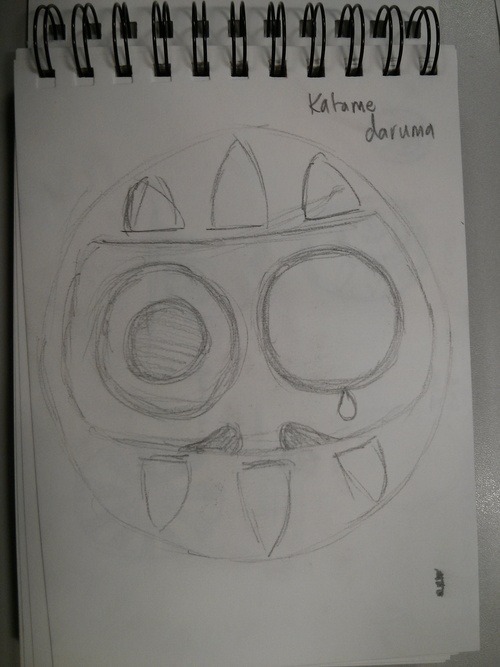 Being a big fan of retro gaming and growing up in the nineties, a lot of my favourite games were from Japan, so I have chosen a Japanese style design. I am very interested in Asian culture, particularly Japan. 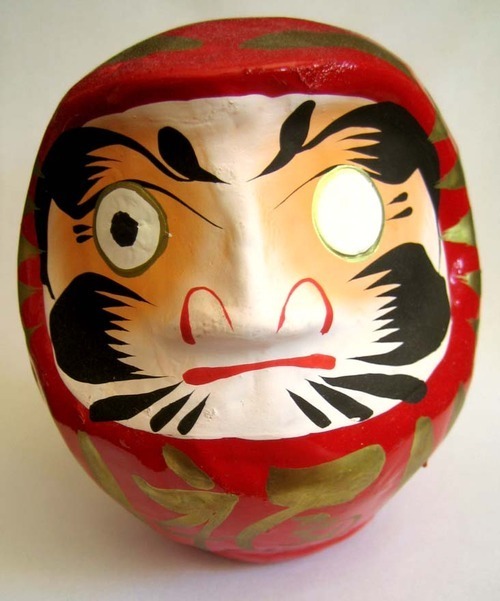 There is a Japanese custom where when someone starts a new business, they are given a Daruma doll. This red, usually egg shaped doll is given to someone with blank eyes. The receiver then makes a wish a paints in one of the eyes, if/when the wish comes true, you then paint in the other eye. 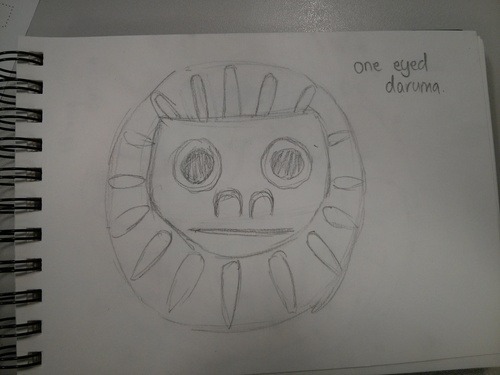 My idea is to have a one-eyed Daruma doll (katame daruma in Japanese) as my logo. To me this connotes an unfulfilled wish, or a dream that someone hopes will become true. Keeping peoples dreams alive or giving them hope I feel would be a positive brand. Growing up with games from the nineties felt like they were made of dreams to me. 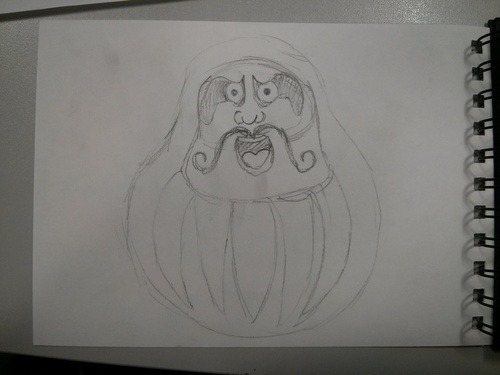 The final design was the one I liked the most, so I then designed some possible alternate angles of the daruma doll which could help my create the logo in 3D in the real world. I hope to be able to use the laser cutting equipment at AUCB in order to create some real world designs. My next step is to make the logo fit with the games at the time, my fondest memories of videos games are from the 16bit generation, for example the Sega Mega Drive and the Super Nintendo.